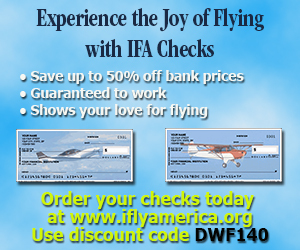 And remember, each purchase helps to support IFA’s efforts to promote flying safety, affordability, growth and fun. Show your passion for flying and order your favorite design today! "I recently flew an instrument approach into a non-towered airport at night and realized after breaking out on final that the runway lights weren't on. I was sure I had put them on - not a nice surprise! Any good operating practices for pilot controlled runway lighting a night in IFR?" — Nicolas B.
Charles Lindbergh was the first to fly solo across the Atlantic but there are many others firsts that are not so well known. Test your knowledge of aviation history with these ten questions. Warning: the questions are tough. Can a plane be too old for clag? Can retrofit glass bring new life or is the risk too high?